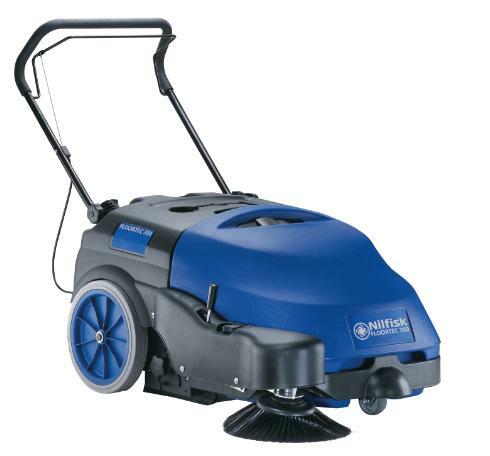 The Nilfisk FLOORTEC 350 is a battery powered walk-behind floor sweeper. It’s best suited for small to medium sized applications like small factories and car parks. Furthermore, it is suited for both indoor and outdoor use due to its low sound and dust-free sweeping characteristics. “Needs a floor sweeper repair” Contact us fault diagnosis. “Lift cable snapped” replacement cable available. “Needs a service” contact us for service. If you’re in Cheddar and need a service or repair on your Nilfisk FLOORTEC 350 call, email or drop-in to our Bristol service and repair centre.